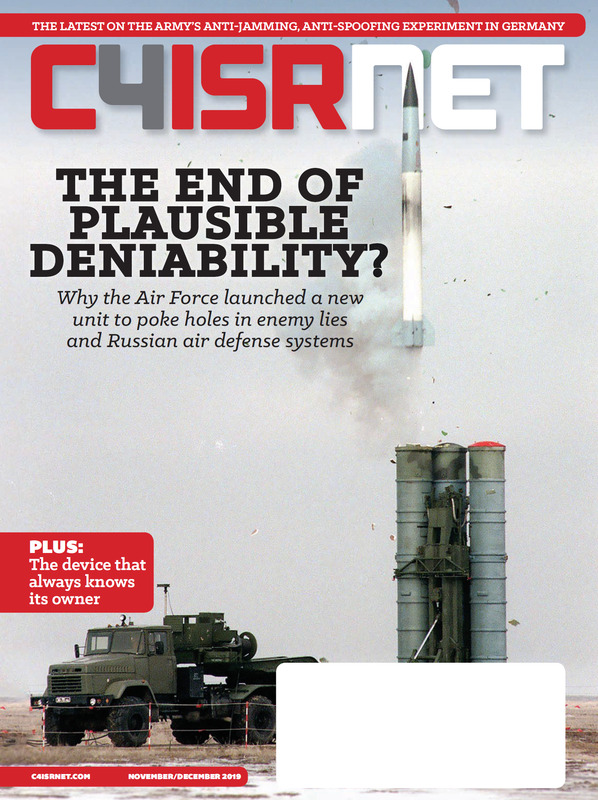 When it comes to intelligence, "we are now at the point for the first time I can remember where [process, exploitation and dissemination] is the shortfall more so than the platforms themselves," Lt. Gen. Jack Shanahan, director of Defense Intelligence (Warfighter Support), which falls under the purview of the Office of the Under Secretary of Defense for Intelligence, said earlier this year. Now DoD is doing something about it. A memo signed by the Deputy Secretary of Defense earlier this week, establishes the Algorithmic Warfare Cross-Functional Team (AWCFT) "to accelerate DoD's integration of big data and machine learning." The goal of the team is to create actionable intelligence from the wealth of data collected from the myriad sensors in the field. AWCFT’s first task is fielding technology to augment or automate PED for tactical unmanned aerial systems and mid-altitude full-motion video in support of the anti-Islamic State group campaign. Shanahan, during his remarks before an industry group earlier this year, described a vignette in which the former undersecretary for acquisition, technology and logistics visited Baghdad, Iraq, and observed video from a tactical UAV. Upon asking who was performing its PED, the answer was no one was, Shanahan said, adding that Frank Kendall, the former official, was not too happy about that. 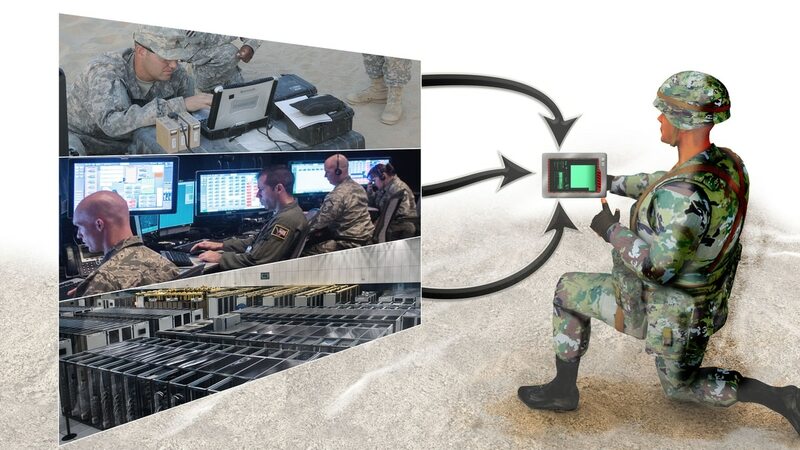 The new AWCFT effort "will help to reduce the human factors burden of FMV analysis, increase actionable intelligence, and enhance military decision-making. AWCFT will: 1) organize a data-labeling effort, and develop, acquire, and/or modify algorithms to accomplish key tasks; 2) identify required computational resources and identify a path to fielding that infrastructure; and 3) integrate algorithmic-based technology with Programs of Record in 90-day sprints," deputy secretary Bob Work’s memo noted. Work was behind the so-called third offset strategy, in which artificial intelligence will play a critical role in future warfare concepts, strategy and tactics. "As numerous studies have made clear, the Department of Defense must integrate artificial intelligence and machine learning more effectively across operations to maintain advantages over increasingly capable adversaries and competitors," his memo said. "Although we have taken tentative steps to explore the potential of artificial intelligence, big data, and deep learning, I remain convinced that we need to do much more, and move much faster, across DoD to take advantage of recent and future advances in these critical areas." Shanahan described a "Go Big Project," to immediately inject industry's best technologies in artificial intelligence and deep learning. DoD can take care of the "processing" and "dissemination" portion of PED, Shanahan said. It’s the "E" in "exploitation" — the analyst's time of looking at a video for 12 hours a day to see if the white pickup truck left or entered the compound — that the department needs help with. A machine can watch for the pickup truck, he said. This does not mean getting rid of analysts, Shanahan said, but rather getting analysts onto analytical duties, or think about problems that are presented rather than watching full-motion video. The AWCFT effort will also consolidate existing algorithm-based technology initiatives related to the Defense Intelligence Enterprise. These mission sets include artificial intelligence, automation, machine learning, deep learning, and computer vision algorithms. The Under Secretary of Defense for Intelligence will oversee the AWCFT, with the director for Defense Intelligence (Warfighter Support) serving as its director. The team will report directly to Work providing monthly updates, the first of which is due by May 1, 2017.